HONOLULU (HawaiiNewsNow) - The largest swell of the winter season kept lifeguards busy Monday. Ocean safety officials confirmed two people were rescued at Haleiwa Beach Park, while lifeguards pulled three people from the water off west Oahu. Monday's massive swell pushed up wave heights on Oahu's North Shore upwards of 30 feet. But a steady drizzle and unfavorable winds meant Waimea Bay didn't see the typical big surf crowds. For those who did come out, Ocean Safety officials were on hand to keep beachgoers away from the shoreline. "I've seen the surf build rapidly since I've been here a few hours. All beaches on the North Shore at this point are extremely dangerous," said Ocean Safety Lt. Kerry Atwood. 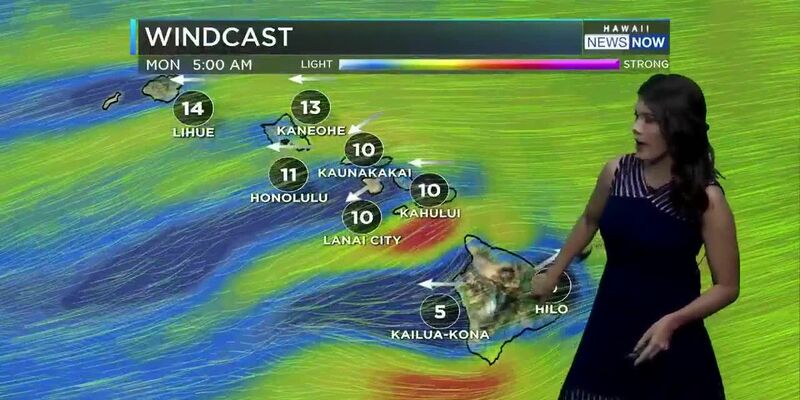 A High Surf Advisory is in effect until 6 p.m. Wednesday for the north and west shores of Niihau, Kauai, Oahu and the north shores of Maui, Molokai and the Big Island. At Laniakea and Chuns Reef, lifeguards strung caution tape up along the shoreline to keep people out of the water. On the Big Island, the following beach parks were closed Tuesday due to high surf: Richardson Beach Park, Leleiwi Beach Park, Carlsmith Park, James Kealoha Park and Onekahakaha Park. Once this swell dies down, lifeguards won't have much reprieve. A new swell is expected to arrive late Wednesday, followed by a third next Monday. "We're anticipating a few swells in a row and we're ready for it out here. We have extra personnel on some of our beaches. We have a bit of a bigger crew in the winter time. A little bit more staff and if needed we will start work earlier and stay later," Atwood said. The dangerous conditions mean that only highly experienced persons should enter the water, officials warn. All others should remain off beaches and adjacent beachfront areas. Large breaking surf, a significant shorebreak and dangerous currents make it very hazardous to enter the water. Surfer Tiger Doerner knows the power of the ocean all too well. He broke his favorite surfboard in the big waves Monday. "The wind is really north today so it's making it kind of harder to make the drops and stuff. I kind of went for a pretty good wave and it ended up jacking up super fast," he said.